Believe it or not, the doll himself, Christian Siriano has been signed by Victoria Secret Beauty. 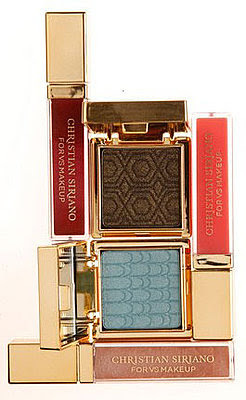 He is said to do a limited edition makeup collection called “Christian Siriano for VS”. How ironic is it, that he will be competeing against his once host, Heidi Klum with her makeup line with VS! Christian actually worked as a freelance make-up artist for stila and had interned shortly for Marc Jacobs before applying for Project Runway. p/s: interesting news from christian..we luv him didn't we?